Student Affairs professionally works with students, strives to encourage, and supports students to achieve the fullest benefit from all non-academic programs and services. Several programs are designed to foster student's development. 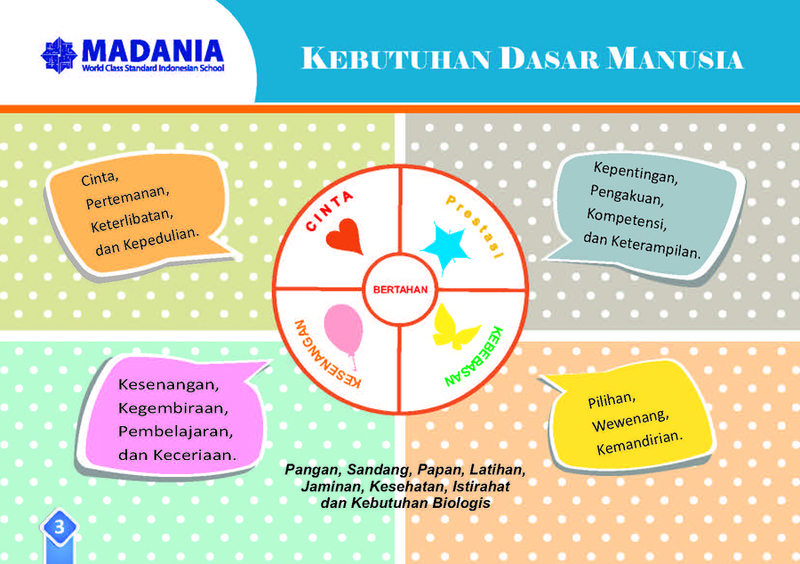 Students are provided with the opportunities to develop learner profiles, English Language, Literacy, and other program such as Sekolah Sehat and KMDM (Kecil Menanam Dewasa Memanen) program. Student Affairs also supervises the selection of students of the month for all grade levels of which assessment is based on Learner profiles, academic achievements, attitudes that demonstrate good characteristics and good role models for other students, and their contributions to school and wider community. Students’ discipline and behavior problems, attendance problems, and monitoring activities are the part of student affairs' responsibilities. Since establishing effective discipline practices is critical to ensure academic success and to provide a save learning environment, restitution approach is employed. This approach is to make sure the misbehaved student will not feel intimidated, blamed, embarassed, and cornered. It is to help them gain their self control back, do reflection on what they have committed, and find the best way out for all parties involved. Student affairs also designs various programs that deal with students' personal and social realms. In cooperation with school counselors and with using a variety of approaches styles, and methods, these programs are to help students grow self-understanding and to empower students to accomplish their developmental tasks in a positive learning environment. Literacy skills is strongly encouraged in Madania School community. Not only students, teachers, and school officers are activeley engaged in literacy activities. For students, Reading Passport and Reading Log programs are introduced, implemented, and monitored. Through these programs, it is expected that students would grow a reading habit that leads them to become a life-long learners, to gain more confidence and insights that eventually contribute to their succesful academic and social life. English Department exists to provide school community, both students and teachers with supplementary programs that allow them develop their English proficiency. Most of the programs are conducted in many form of activities such as in-class and outdoor activities, coaching, and intense communication with native teachers. Homestay program also comes as an alternative and a new way for students develop their communication skills. 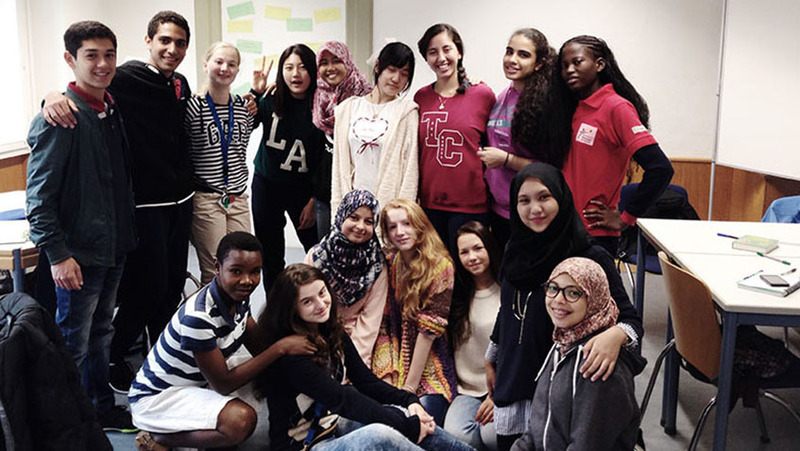 Through this program, students are provided with the opportunity to experience learning English in an authentic social environment which is in the English-speaking countries. Besides learning language, students also gain new experience of learning and discovering foreign cultures and traditions. School clinics supports all students and other school communities to keep and enhance their well-being through various programs and services. Health education and regular general medical examination are to name a few. 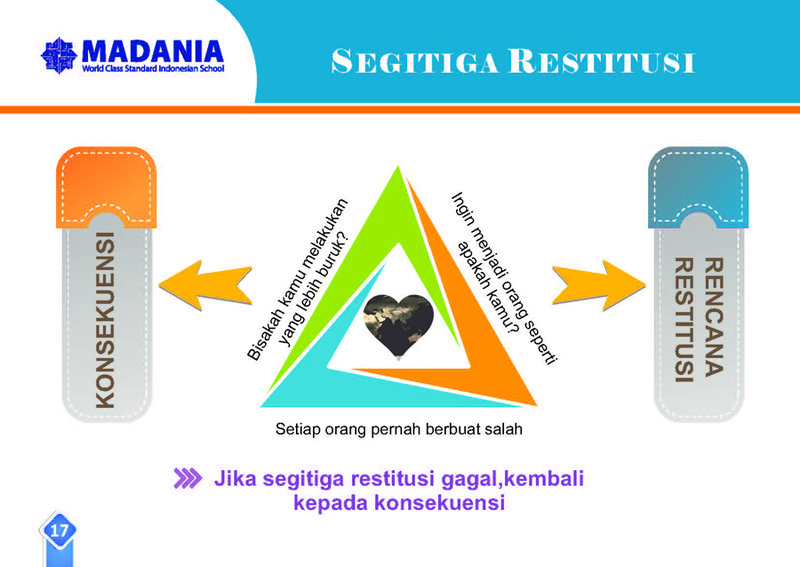 Supported by qualified doctors and nurses, School Clinics are also in charge in the selection of Dokter Kecil who are responsible to help doctors and nurses in the clinics and to promote positive and healthy life style to other students. Supporting and challenging students through various kinds of competitions, covering local and international level regularly are seen to be essential to help them learn gain critical skills such as critical thinking, decision-making and problem solving. After every competition student affairs provides feedback to students on their performance in hope to seek for improvement. This also ensures students to accept failure without losing their self-esteem. Community service is a form of social services provided by Madania Secondary students towards the community without any compensation or payment. There are two types of community service programs, i.e., in-house dan outhouse. The in-house community service is executed within the school area, while the out-house community service is held outside of the school area. Through this activities, students is expected to have a well-rounded development and nurture high empathy towards others. Extracurricular are activities that are specifically guided by competent educators to help students develop their potentials, interests, and talents in various fields. Excursion is aimed to give students the well-designed opportunity to obtain an authentic learning experience and to sharpen their interpersonal and social skills. For higher secondary students, Excursion is organised as a live-in program where students will live with a local family for one night. This enriching program allow students to interact with the residents and join a community service activity during their live-in community. 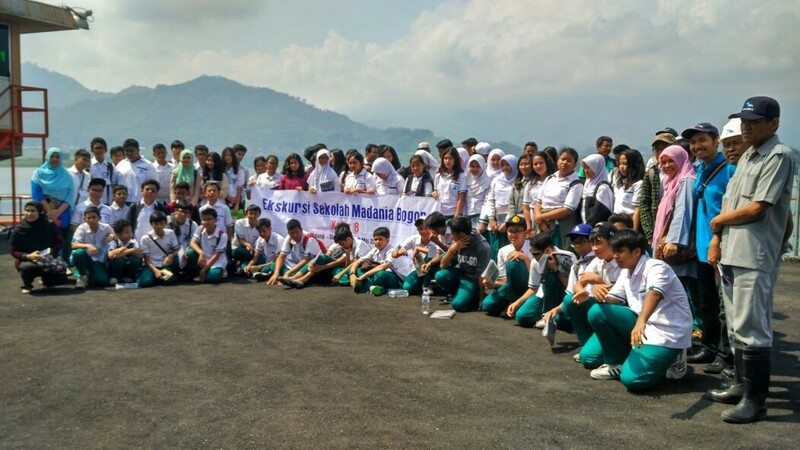 For the Lower Secondary students, the socializing program is arranged in the form of visiting and interacting with members of orphanages and nursing homes and teaching younger students from schools in remote areas. One of the best ways to learn is through real-life experiences. Madania School provides an opportunity for children to develop their life skills by living abroad for two weeks. They live in their host family, share cultural experiences, and find how interesting it is to live like local people. Students joining this program will have a lifetime experience of being a part of a great cultural exchange which can broaden and renew their points of view over the world.